Telstra has seen its NPS scores falter but attracted net new retail mobile and fixed-line broadband customers during the six months to 31 December 2016. The ASX-listed telco reported a dip in financials for the first-half today, including a 0.7 per cent year-on-year decrease in group revenue to $13.7 billion, and 1.6 per cent reduction in EBITDA to $5.2bn. However, excluding regulatory decisions around mobile termination services and wholesale fixed-line charges, total income rose 2.2 per cent to $13.7bn, while EBITDA increased 2.4 per cent to $5.4bn. During the six months, Telstra added 200,000 domestic retail mobile services, 90,000 retail fixed-line broadband customers, 124,000 bundles, 292,000 NBN connections and 322,000 Telstra TV devices. 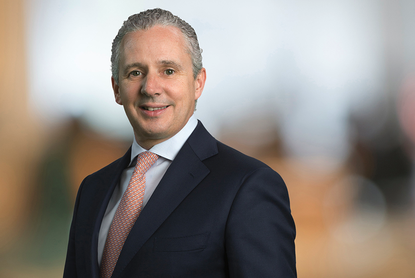 Telstra CEO, Andrew Penn, was pleased Telstra had performed well in a highly competitive market across mobile, fixed, data and IP, and had been able to gain customers and increase market share in NBN sign-ups. But with stellar customer experiences remaining the core imperative for the telco, Penn said he was disappointed to see Telstra’s strategic NPS (net promoter score) decline by 8 points since December 2015. This was primarily driven by impact of network outages, most recently in June, particularly with large business customers, he said. Penn suggested work to improve services should reflect in the NPS score in the next half as Telstra rolls out more of its $3 billion investment in networks and digitisation. The telco has a goal of improving its strategic and episodic NPS by 3-6 points annually. “We’ve seen encouraging trends in consumer NPS and some positive trends in episodic NPS in the last six months underpinned by customer focused initiatives,” he told investors. “Notwithstanding this, it’s important we do more for our customers, and there are too many instances where we have let our customers down. Penn highlighted a range of initiatives aimed at delivering seamless customer interactions in the last half. This included providing more network coverage and faster speeds, new devices such as the Gateway Frontier modem, which unites mobile and fixed network connectivity in one device, and improving delivery options with more flexibility and choice for customers receiving hardware from Telstra. This had been achieved by replacing scripted terms and conditions with simple messages. Telstra also simplified self-install for ADSL customers, created more value for mobile customers with Go Mobile Swap and MyBusiness lease plans, and improved core systems to improve the time it takes to complete customer orders by reducing customer-facing interfaces from nine to one, Penn said. Penn also noted the positive impact of Telstra’s rebrand campaign, which launched in July and had a focus on developing a closer emotional connection with customers. “Since launch, we have seen positive trends in relation to brand consideration and perception measures and we have been recognised as Australia’s most valuable brand and among the world’s top 100 most valuable brands for the second year running,” he commented. Telstra’s three-pronged ambition is to deliver brilliant customer experiences, drive value and growth from the core, and build new growth businesses close to the core. To help achieve this, the telco revealed a $3bn capital investment plan last year, focused on network infrastructure investment and improvement as well as digitising systems and processes.